Kelley's Dog Blog: Hello Drogo! Meet Drogo, the newest member of our menagerie. 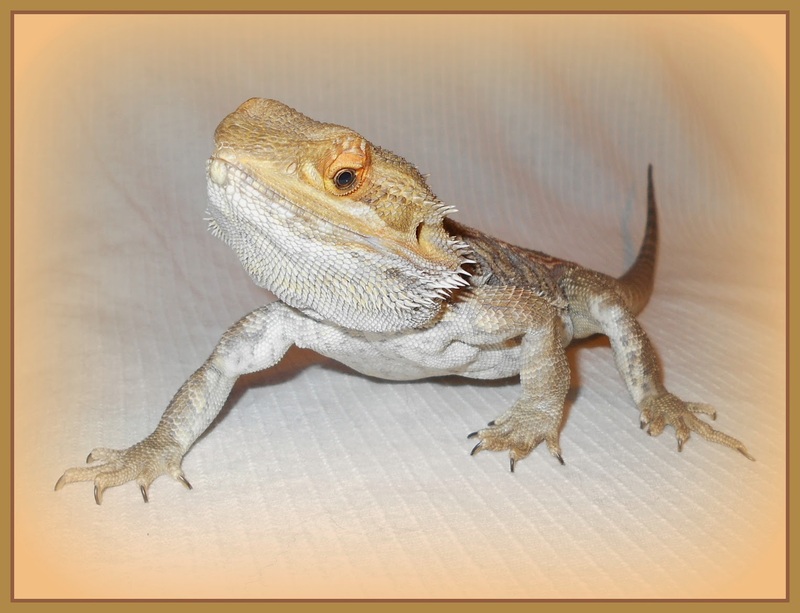 Drogo is an 18 month old bearded dragon. You'll probably be seeing more of him because the only thing I think funnier than dogs in hats is lizards in hats. Cinco De Mayo is just around the corner and I'm already looking for a teeny tiny sombrero. Don't tell Drogo!